After the success of country and blues records in 1923, the recording companies became a lot more adventurous. 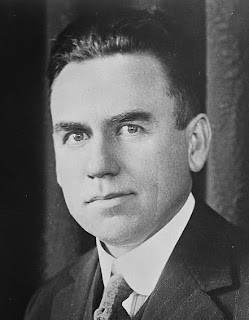 The releases of 1924 and ’25 saw veterans like Uncle Dave Macon and Ma Rainey, as well as newcomers like opera-singer-turned-hillbilly Vernon Dalhart. They also included the first male blues recordings, the first singing cowboy recordings, and a dynamic new style of banjo playing. Vernon Dalhart was an opera singer by training, but decided in 1924 to try his hand at the fledgling “hillbilly” market. It was a gamble that paid off in 1925, as “The Prisoner’s Song ” became the first country record to sell over a million copies. The record was designed to appeal to mainstream audiences, and was a far cry from the down-home, fiddle-and-banjo music he was imitating. Although he affected a southern-sounding accent, his voice was clearly that of a trained singer, and his accompaniment was smooth and highly orchestrated. The end result is pleasant, if somewhat saccharine, and served as further proof of the commercial potential for country music. Note the traditional melody in this song, which has to be the most successful in the history of country music. It would be used in several other high-profile country records through the years, including “I’m Thinking Tonight of My Blue Eyes” by The Carter Family in 1929, “The Great Speckled Bird” by Roy Acuff in 1936, and two classics in 1952: Hank Thompson’s chart-topping “The Wild Side of Life ” and the even more successful “answer record” to this, “It Wasn’t God Who Made Honky Tonk Angels ” by Kitty Wells. As the demand for “hillbilly” music became clear, record companies looked to duplicate the success of artists like John Carson and Eck Robertson. One of the first country acts signed and promoted by Columbia was Ernest Thompson, a blind singer and musician from North Carolina. Unfortunately, Thompson never quite achieved the success Columbia predicted, and he remains underappreciated to this day. Part of this may be due to his unusual style – strangely high vocals accompanied by guitar and harmonica instead of the more common fiddle and banjo. Listen to his records today, however, and his talent and influence are clear. “Are You From Dixie?” is Thompson’s best record, and it would go on to become something of a country music standard. Thompson’s delivery is earnest and enthusiastic as he sings the nostalgic lyrics: “My home’s a way down in Alabam’ / On a plan’ation near Birmingham / There’s one thing certain / I’m surely flirting with those south-bound trains.” There is a touch of yearning in his voice every time he says, “I’m from Dixie too!” and the urgency increases in the final minute as his guitar and harmonica play to an ever-increasing tempo. 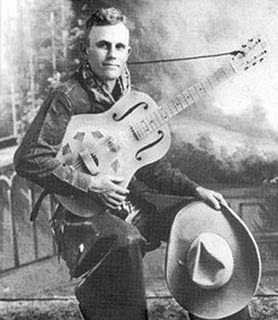 Uncle Dave Macon was already in his 50s when his recording career began in 1924. A master showman who combined humor and old-fashioned banjo playing, Macon would later become a mainstay in The Grand Ole Opry, a weekly radio broadcast that would emerge in the 1930s as the definitive word in country music. This is one of his first recordings and a particularly entertaining one. The recording is scratchy, but Macon’s strong, colorful voice comes through well and pushes the song forward. You will feel like singing along every time he says, “Keep my skillet good and greasy all the time, time, time!" Be forewarned, though, that the “N” word makes an unfortunate appearance in the final verse. It is used so matter-of-factly that in later performances Macon was able to (wisely) change the line to “There’s a man on that log” without really altering the intent or meaning. But in these very early days of “hillbilly” music, with the minstrel tradition still not far removed, recordings were not yet made with a larger, more sensitive audience in mind. Next to Bessie Smith, Ma Rainey is the best-remembered of the classic female blues singers. When she began her recording career in 1923, she was already a twenty-year veteran of the vaudeville circuit and had served as an inspiration to younger blues singers like Smith. Unlike most 1920s recordings by female blues artists, this song forgoes jazz instrumentation in favor of a simple guitar (played by legendary bluesman Tampa Red). However, it actually has a much more animated, ragtime feel than many of her other recordings – a reminder that early guitar blues was actually a lot more diverse than most people realize. Like Smith, Rainey had a gift that transcended the poor recording technology available to her. Her singing here sounds relaxed and smooth, and yet her powerful, vaudeville-trained voice comes across loud and clear despite the hissing and popping. This Rainey original is one of the most covered blues songs of all time (sometimes written “C.C. Rider”), but the original recording is hard to beat. Here, Rainey lets loose with perhaps the most impassioned vocal of her career. The songs tells a classic tale of heartache fromthe point of view of a woman whose lover has jilted her for another: “See See Rider / See what you done, done / You made me love you / Now your gal’s done come.” Again, Rainey’s singing is just amazing. At points, the instruments wail in unison with her (including Louis Armstrong on cornet), but can hardly compete with her powerful voice. W.C. 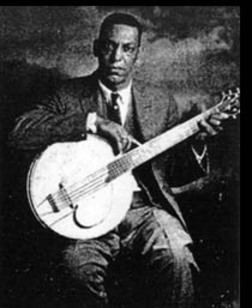 Handy was the first great blues composer, and was responsible more than anyone else for standardizing the twelve-bar blues format that almost all blues songs now adhere to. “St. Louis Blues” is his most famous composition. First published in 1914, it has gone on to become one of the most recorded songs in history. This version, however, remains just about definitive. 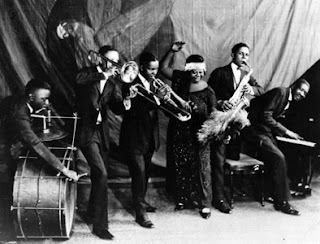 The song has been slowed down to a crawl and is essentially turned into a duet between Smith’s expressive voice and Louis Armstrong’s melancholy trumpeting. It is a genius pairing, and from Smith’s opening line (“I hate to see the evening sun go down”) to Armstrong’s final flourish, every moment is imbued with powerful emotion from one, the other or both. 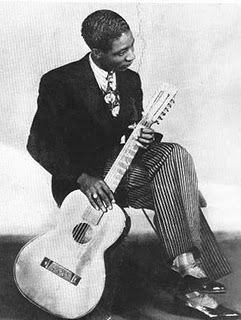 Alonzo “Lonnie” Johnson was one of the most important blues musicians of the pre-war era, and he even made a successful transition to rhythm & blues for a time after World War II. He was a frequent collaborator, accompanying blues artists like Victoria Spivey and Texas Alexander, as well as jazz artists like Louis Armstrong and Duke Ellington. Indeed, Johnson’s guitar playing was more jazz- like than anything else, and he may have been even more influential in the jazz world than in the blues. And his best recordings, such a series of duets with jazz guitarist Eddie Lang in 1929, transcend all categorization. “Mr. Johnson’s Blues ,” his first solo single, perfectly demonstrates how he straddled the line between jazz and blues. He only bothers to sing a single verse, letting his guitar do the talking for the rest of the song. And what talking it does! His finger work is amazing, improvising like the jazz guitarists of his day could only dream of doing. A nice interlude by pianist John Arnold at the end almost erases all memory that this record started as a somewhat straightforward country blues. Like all of Johnson’s work, this record was way ahead of its time. In 1920, Mamie Smith’s “Crazy Blues” created a commercial demand for female blues recordings, but it would take until 1924 for minstrel show veteran Papa Charlie Jackson to break that barrier for male blues artists. “ Shake That Thing ” is one of his best: an upbeat, feel-good hokum played on Jackson’s hybrid banjo-guitar. Note how different Jackson’s “songster” blues is from the standard, twelve-bar blues we are used to today. The blues tradition evolved from a rich variety of sources, and this diversity was reflected in the wealth of different blues styles that competed for attention before WWII. We are fortunate to have a record of unique performers like Jackson, whose style has never been duplicated. The North Carolina Ramblers were one of the most popular rural string bands of the 1920s. The trio (banjo, fiddle and guitar) was led by Charlie Poole, a gifted banjo player who lived fast and died young, drinking himself to death at the age of 40 in 1931. 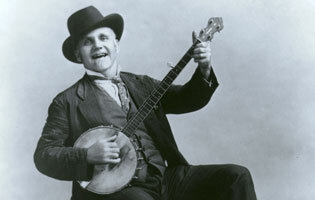 Part of what made Poole’s banjo playing so compelling was a unique fingerpicking style that allowed him to coax a much more dynamic sound from his instrument than someone using the standard “clawhammer” style of the era. While it was not directly copied, this unique style would serve as a profound influence on bluegrass musicians decades later. And listening to “Don’t Let Your Deal Go Down Blues ” you can hear why: Poole’s banjo is a whirl of activity from start to finish, picking out a kinetic countermelody that ultimately outshines the lead fiddle part. Poole’s singing is a little subdued compared with his later recordings, but the vocals are really an afterthought here: the bar had been raised for string bands everywhere. Although the cowboy way of life was largely obsolete by the turn of the twentieth century, a nostalgic fascination for the Old West was growing among the American public. This was the first recorded “singing cowboy” song, and it was an unqualified hit, selling 900,000 copies. By the mid-1930s, singing cowboys were a mainstay in Hollywood, and their sound had moved closer to pop. Early cowboy songs such as this, however, were still rough around the edges, more accurately reflecting the roots of a music that evolved as a way for cowboys to pass the time on the open range.